Successfully Added USB Desk Lamp with Sound Activation to your Shopping Cart. This sound activated USB LED lamp is the perfect desktop companion. It features 12 bright white LEDs and a “goose” neck design that allows you to position this lamp exactly where you need it. But the real feature that makes this LED desk lamp stand out from other USB lamps is the sound activated light control. With this useful feature enabled you can simply clap your hands and the light will turn ON, or clap them again to turn the light off. Do you hate having to switch your bedroom light OFF at night then having to walk to bed in the dark? Not anymore! Simply lie down and clap your hands when you’re ready to go to bed. If you need to get up in the middle of the night, then simply clap them again to turn the light back ON. 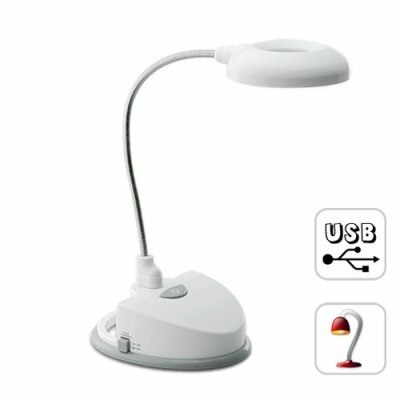 This sound activated USB LED desk lamp is in stock now and available at our discounted factory direct wholesale price. Order this product in bulk now and resell it on eBay to generate some serious income. The CVRW-K95 comes with our famous 12 month guarantee and if you order now we will ship it to you within 24 hours. Can be used like a regular lamp without the sound activation feature. Can I use this desk lamp for reading at night? Yes this lamp works excellent for reading at night.